The Secret Society Trilogy by Jason Medina. Perhaps, you've heard of the Freemasons, the Illuminati, or the Templars? The idea of secret societies like those have always caught the fascination of people. Their forbidden secrets and mysteries only make us want to learn more. It becomes a mission to learn if there is any truth to the rumors. 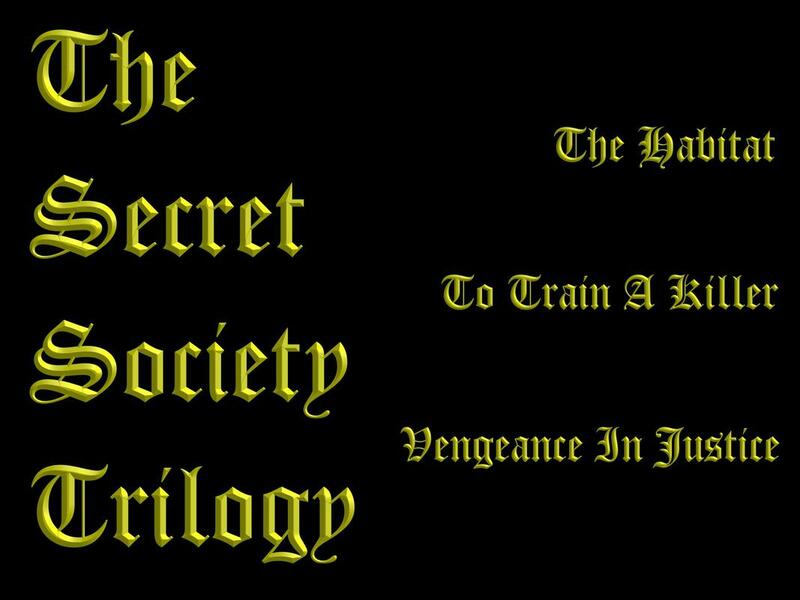 In this trilogy we will be introduced to the most secretive society of all and we will finally learn what really happens behind closed doors. In this trilogy, we will be allowed to witness the recruitment process required to enter the Secret Society, followed by an unorthodox training methods, and life threatening experiences. By the end, we will learn every surprising secret of the society's inner circle. ​However, it all begins with one man's obsession. Evan is given the choice between life and death, in order to join the Secret Society that has been the object of his obsession since childhood. In order to become a well-trained killer, one must first unlearn morality and let go of the past. Is it the end of the Secret Society when their own trained assassins begin hunting them down?